The Libyan leader, Col Muammar Gaddafi, has denied there is any fighting on the streets of Tripoli and has said that he is loved by all his people. 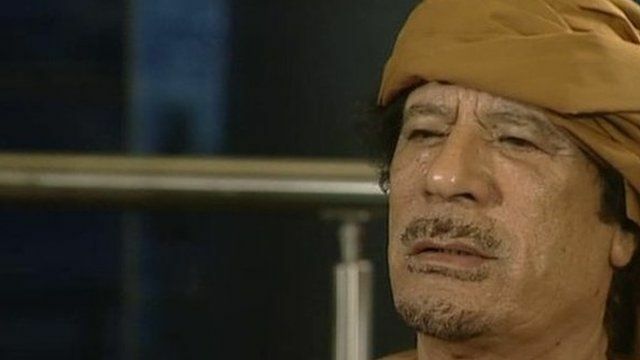 Col Gaddafi told the BBC's Jeremy Bowen that protesters who had been demonstrating against him were from al-Qaeda. He said that his people would die to protect him.